Sing aloud the glory of God and charge the atmosphere with divine adoration… This is why I insist on group singing of the names of the Lord. He is the in-dweller of every heart and all names are His. So you can call Him by any name that gives you joy. You must not cavil at other names and forms, nor become fanatics, blind to their glory. 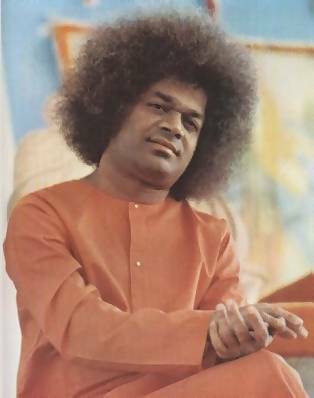 When you sing Bhajans (devotional songs), dwell on the meaning of the song, and the message of each name and form of God, and roll on your tongue its sweetness. Atlanta Sai Center organizes a blissful devotional service every Sunday. The program starts with silent sitting with soft music, a brief video presentation, devotional singing (Bhajans) followed by prayers, arathi and light meditation. We also conduct study circle every Sunday where spiritual seekers share their understanding of Sathya Sai Baba’s teachings and dwell on their inner meaning. If you are interested in leading a Bhajan, please scroll down to find a link that enables you to add your name to the list of singers for the week. Have a favorite Bhajan that you want to hear? You can request the song by clicking on the same link. We Miss You Deeply If You Do Not Come To The Center. Here are recordings of our Bhajans for your listening pleasure. Listen to streaming audio online. There is only one language, the language of Heart.